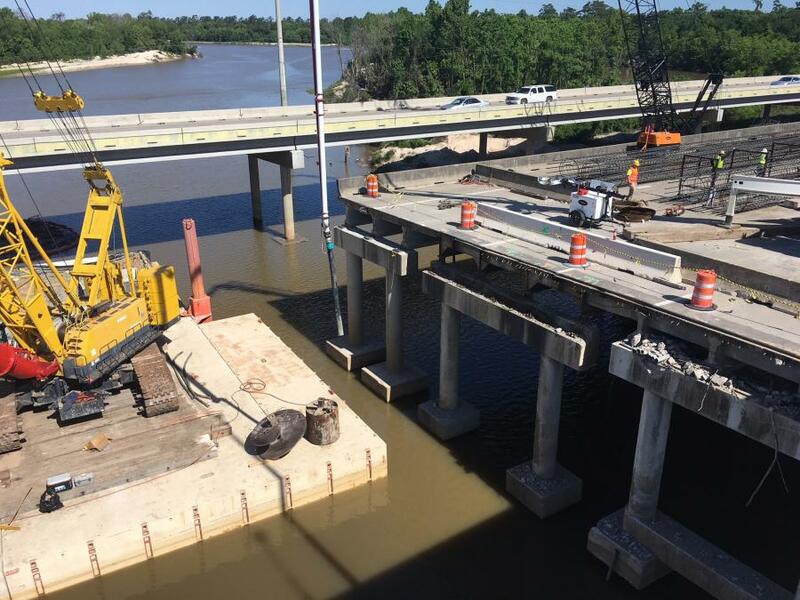 The I-69 Eastex Southbound bridge over the San Jacinto River received substantial damage due to changes in the river. Nearly nine months after Hurricane Harvey made landfall on the coast of Texas, prompting the largest disaster response ever recorded in Texas state history, work is at last under way to repair a bridge that suffered substantial damage in the storm. The category four storm dropped nearly 4.5 ft. of rain with winds howling to 130 mph. Causing about $125 billion in damage, Harvey ranks as the second-most costly hurricane to hit the U.S. mainland since 1900. 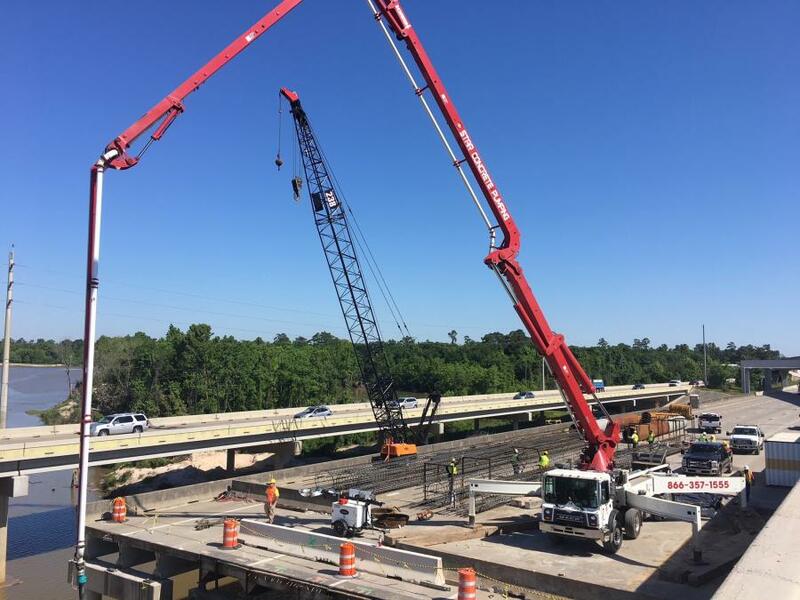 One of those projects is the I-69 Eastex Southbound bridge over the San Jacinto River. It received substantial damage due to changes in the river. Now, the Texas Department of Transportation (TxDOT) is on track to repair damage and get the bridge fully reopened. Crews have demolished multiple spans of the bridge and are in the process of rebuilding them. 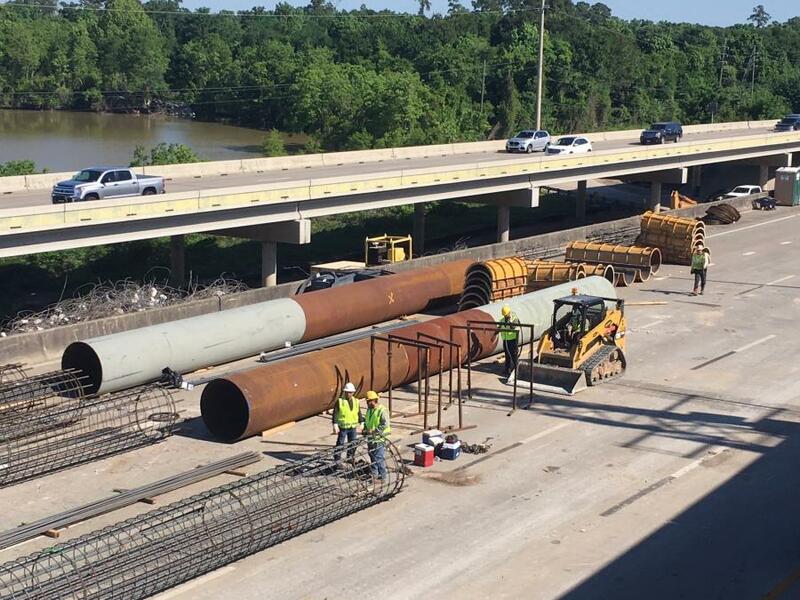 The work calls for rerouting the southbound mainlanes onto northbound mainlanes of the I-69 Eastex freeway prior to the bridge. This will allow motorists to bypass the southbound bridge closure. Southbound motorists will then return to the southbound mainlanes near the Townsen overpass. Construction Equipment Guide caught up with TxDOT spokesman Danny Perez to talk about the project. CEG: When was the bridge built and how much damage did it receive? TxDOT: The original structure was built around 1961. One side of the bridge was widened in about 1982. Twelve years later, in 1994, the other side also was widened. During Hurricane Harvey, the main channel of the San Jacinto River shifted, impacting the I-69 southbound mainlanes bridge over the river. As a result, the depth and alignment of the river changed, affecting the foundation of the bridge. Although capable of carrying typical traffic, the southbound bridge does not have the capability of carrying extremely heavy loads, which have been diverted to the frontage road. To restore the load carrying capacity of the southbound bridge, a project to replace the affected portion of the bridge has been awarded to Webber LLC Construction. CEG: How much will repairs cost? TxDOT: The project is anticipated to cost about $7.6 million. CEG: What is the timeline for completion? TxDOT: 182 Days with two milestones that have a maximum of 10 days of incentives each with unlimited disincentives for each. CEG: What heavy equipment is on site? 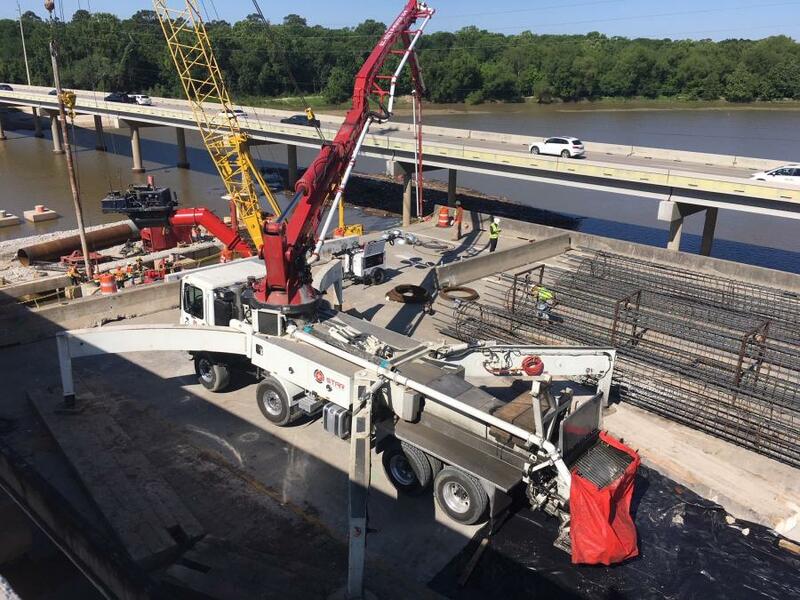 TxDOT: The contractor is using various equipment resources, including barges, cranes, track hoes, hydraulic breakers, light plants and concrete pump trucks. CEG: How will crews demolish the damaged spans? TxDOT: The demo plan calls for the deck to be broken and removed, with barges below to capture the debris. The beams and girders were then lifted and removed via cranes and barges. The caps and columns were supported while they were saw-cut and then removed intact. The footings will be broken after the new foundation is in place and the existing piling will either be cut off two feet minimum below the mud line or pulled and removed intact. CEG: What is the biggest challenge in doing a job like this? TxDOT: Working safely over a moving body of water is challenging. In addition, we know having this bridge reconstructed and back in service is very important to the community so getting it done quickly and efficiently is crucial. CEG: How many workers on site? TxDOT: The number of workers varies from day to day depending on the tasks at hand. The goal is to get the most work on any given day. CEG: Will the new spans be prefabricated and delivered to the site, or built on site? TxDOT: Concrete beams and panels will be cast off site and then set into place.